Lightweight coverage is here with the Nike Sportswear NSW Parka. 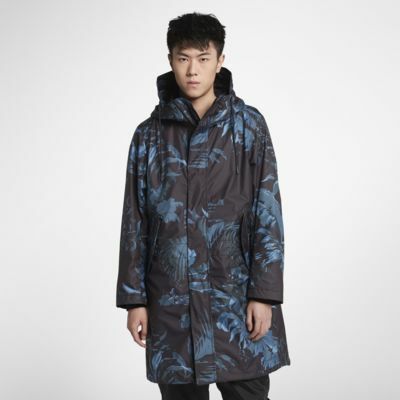 Designed with a camo-like palm tree print, it's made from water-repellent fabric and features a breathable mesh hood lining. Lightweight coverage is here with the Nike Sportswear NSW Parka. 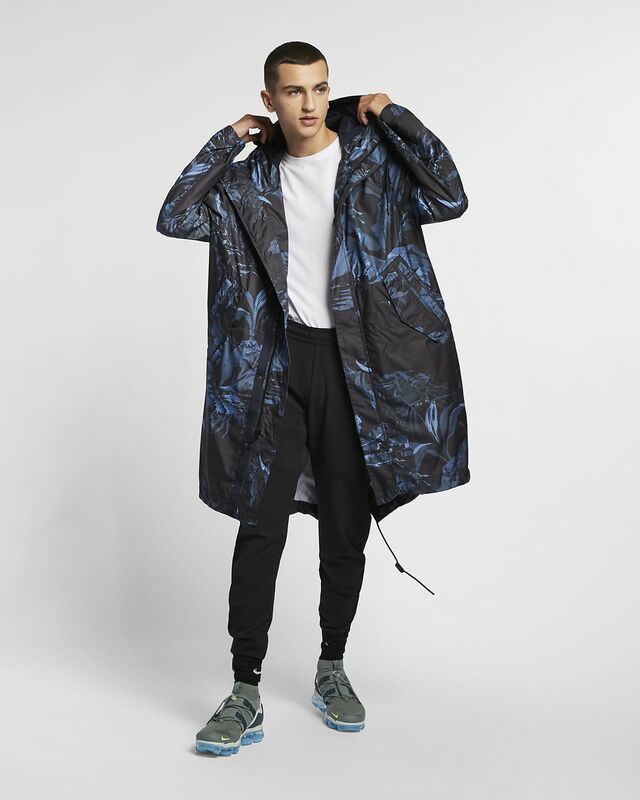 Designed with a camo-like palm tree print, it&apos;s made from water-repellent fabric and features a breathable mesh hood lining. Palm-tree print creates a camo-like look. Wax-tipped drawcords at the hood, internal waist and fish-tail hem offer a personalised fit. Double-entry pockets secure your stuff with press-stud closures. Front zip has interior and exterior storm flaps that help keep the elements at bay.